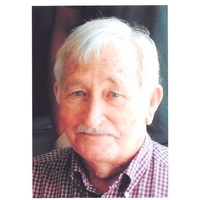 Jerry D. Hardeman of Bartow, Florida passed away Tuesday, March 26, 2019 at Winter Haven Hospital. He was born October 21, 1931 in Winterville, Georgia to the late Ralph D. and Ruth (Culberson) Hardeman. He has been a resident of the area since 1947 coming from Georgia. He was a Maintenance Superintendent for 37 ½ years for Estech. Jerry was a veteran in the United States Army serving in Korea. He was a member of the VFW Auburndale Post; he was very Patriotic and proud of his military service. He was a loving husband, father, and grandfather. He was a Mr. fix it for anything. He is preceded in death by his wife Jeanette Ward Hardeman, son Doug Hardeman, daughter Denise Knabe, brother Pete Hardeman, sisters Betty Brown, and Nancy Woods. Survivors include his daughter Debra Barnhart of Bartow, FL, 3 grandchildren Kylie Berry, Louise Knabe, Josh Simmers, 7 great grandchildren N.J., Haley, Lily, Christopher, Mikayla, Abbigail, and Trey. Visitation will be held 10:00 AM Monday, April 1, 2019 until service time at 11:00 AM at the Marion Nelson Funeral Home with Rev. Lanny King officiating. Interment will be held at the Lake Wales Cemetery.